My favourite time of the year is finally here. And I can't even tell you how excited I am. 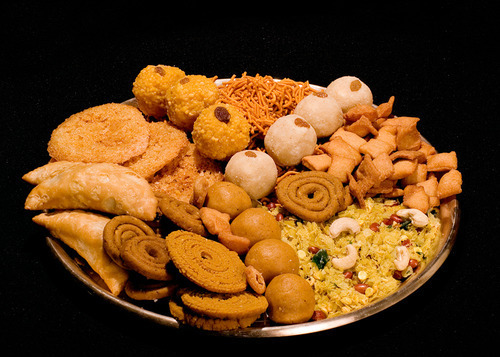 Diwali is a few weeks away. And like every year I want to put my best foot forward. But this year, I plan to do things a bit differently and that is exactly why I have decided to pen down this post. Age has really got me, and instead of the usual show-off, I plan to spend my Diwali in a peaceful, quiet and sober style, close to home this year. It's been ages since I stopped doing fireworks on Diwali. The conscious human in me, just decided one day that I would give up on fireworks, to control air and noise pollution. This year too, it will be no fireworks for me or anyone in my family. Gone are the days when me and my sister would make our Diwali lanterns from scratch at home with supplies available at home or bought from a craft store. Then we grew up and life happened. Slowly we moved on to quick fixes and bought Diwali lanterns from the store. 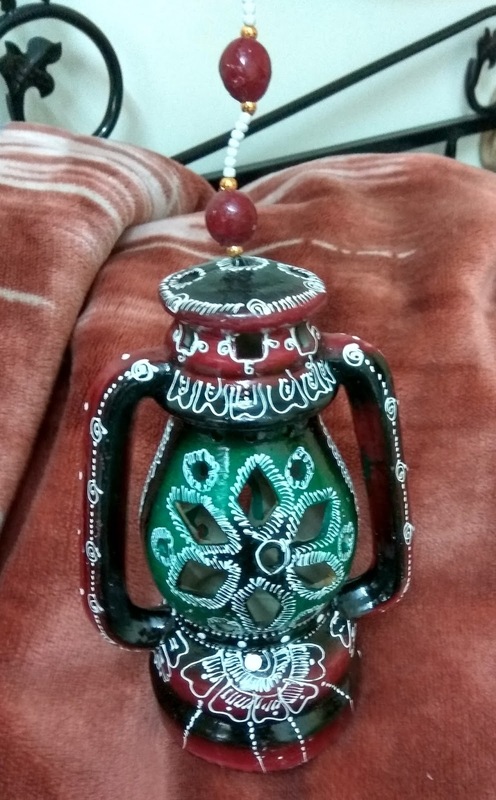 The prettiest and most economical lanterns won our vote, without realizing that we were actually helping the Chinese economy flourish due to our ignorance and laziness. So this year I am making amends. I have bought an earthen ware lantern that we picked up from our short trip to Kutch. It is not only eco friendly but also gives me the satisfaction of supporting local craftsmen. 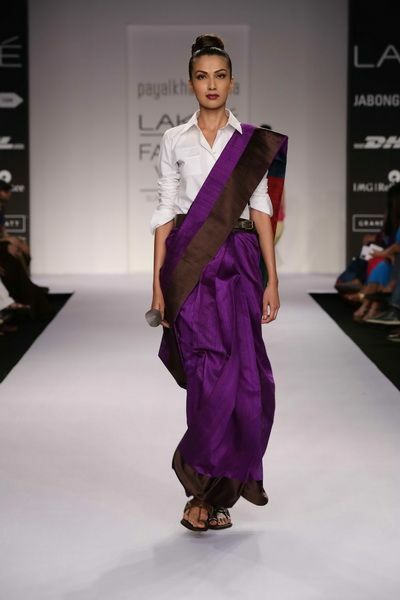 Make in India definitely has my vote. Shopping for Diwali outfit used to be an annual ritual. But not this year. This year I have decided to recycle my old outfit and give it a new look. I am teaming my mom's decade old silk saree with my crisp white shirt to go for the Indo fusion look. This year my plan is to go makeup free. But that's easier said than done. Going makeup free actually needs a lot of effort and planning. In order to achieve a healthy and glowing skin before Diwali, I am planning to go on a detox diet, binge on fruits and fresh fruit juices whenever I can and workout atleast 4 times a week. 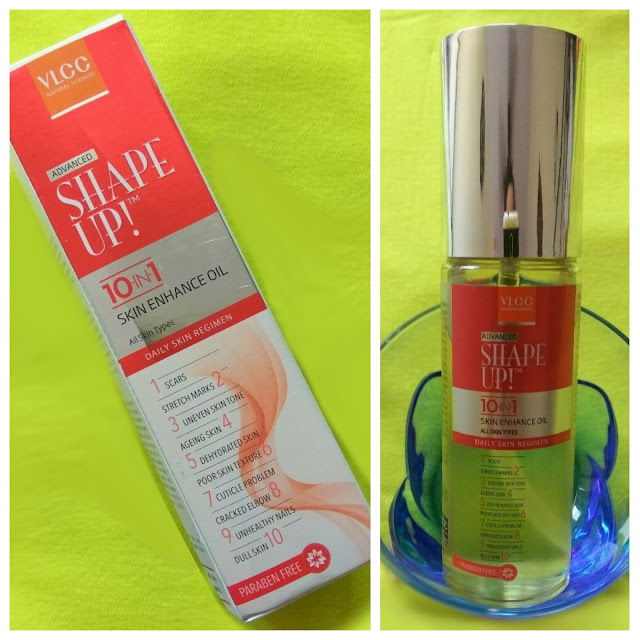 Along with this regime, I have already started using this amazing product called Shape Up 10-in-1 Skin Enhance Oil from VLCC, which works wonders to correct uneven skin tone, stretch marks and hydrates your skin to give it a fresh and healthy glow. I have been using this product for the past one week, and I can already feel the difference. My skin looks hydrated and feels soft. 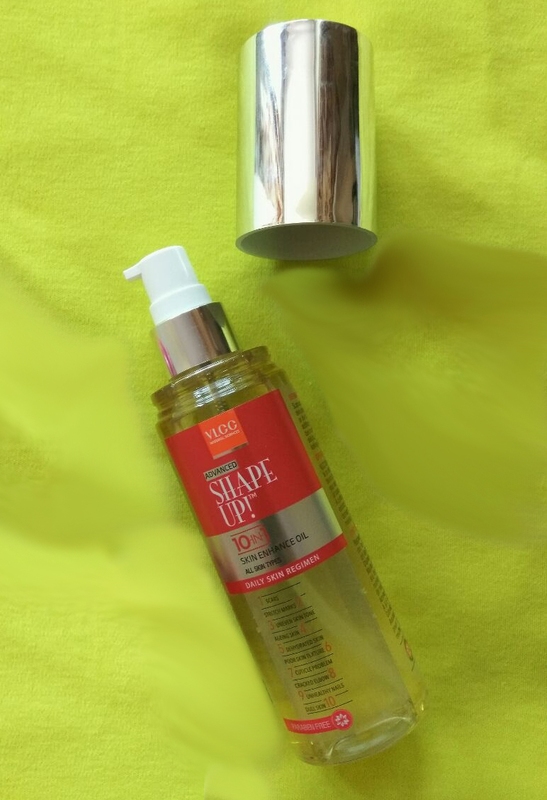 This product is enriched with raspberry, chamomile, green tea ferment, marula and argan oils which are known for their anti aging properties. Plus it has been infused with vitamins A and E along with coconut, jojoba, rosehip, almond grapeseed and bunch of other power house ingredients which help to make your skin supple, soft and gorgeous. And at a price of Rs. 700 for a 100 ml bottle, I think it’s a total steal. Instead of buying sweets from shops, this year I am going to make Diwali sweets at home with the help of my mom's recipe book. After all its high time I get a hang of making traditional Diwali Faral recipes. 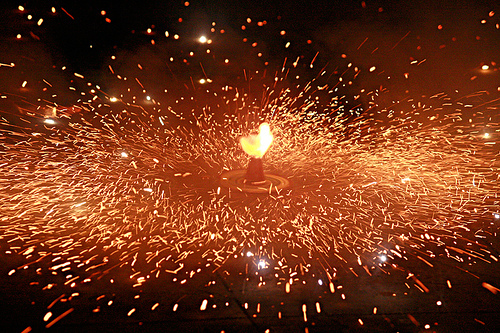 What are you plans for Diwali? value your cooperation keep it up and continue writing such enlightening article. Such an amazing blog..and more informative..all the designs are looking gorgeous..